NIAGARA-ON-THE-LAKE, Ont. (June 1, 2015) — Social stereotypes reinforced by mass marketing have conditioned consumers to see certain alcoholic beverages in a narrow light. Beer is for the sports guy. Ciders are for their wives and girlfriends. Men assert their manhood with only the right kind of whiskey. In this same way, wine has been associated predominantly as a drink for women, but that is not the case. A man enjoying a glass of wine is making a statement — he enjoys the finer things in life, with an air of class and sophistication. Understanding the complexity of wine speaks to a well-rounded man, indicating a lifestyle of refinement and taste that goes beyond simple pleasures. It is a statement that makes wine an ideal, if off the beaten path, gift for Father’s Day. A barbecued gourmet dinner. Grilling enthusiasts know there is so much more that can be done in their backyard kitchen than just burgers and dogs. Get your grill nice and hot and toss on some thick, juicy steaks to be paired with a big, bold red wine. Or put a chicken on the rotisserie and serve with a Dragonfly Pinot Grigio. Collect the drippings, add some wine and flour for a delicious gravy. The pairings will enhance the flavor of both the food and the drink, and will create new flavour sensations. A wine tour. Get Dad in the car and drive him out to Wine Country for some tastings at the winery. Besides enjoying quality time together on a beautiful day amongst the vineyards, you can tap into the expertise of winery staff, try a variety of different wines to find the ones you like best and access wine labels that may not be available in your local liquor store. Plan your getaway with wineriesofniagaraonthelake.com. Sign him up to a wine club. 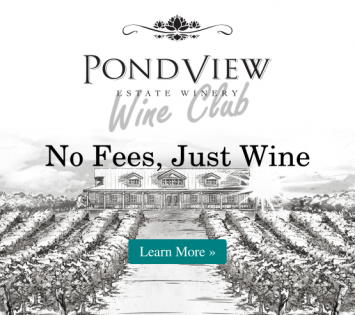 Wine clubs make enjoying wine easy. Most of them ship wines right to your door on a regular basis, complete with tasting notes and suggested pairings. They also often include invitations to special events, opportunities to get first releases and other happenings in and around the winery. With My Niagara Wine Club, Dad will get to enjoy samples from four different wineries.